Master 9 turns 9 this month. As usual, when it comes to birthdays, my brain can only work for last minute plans. I decided to host 2 parties on the same day for my boy. One with his close friends and one with our family. I did up a simple picnic party at the playground near our place. However, it rained heavily that day, but we still managed to move the party to another sheltered place outdoors. Although the children could not play at the playground, they had lots of fun playing ball games on their own. In the evening, we had a nice and cosy steamboat dinner with the grandparents and cousins. It was a super tiring day but seeing the birthday boy’s happy face, it was all worth the effort. Master 9 is blessed with a group of close friends who are still very much in touch with each other even though they are in different classes now. The mummies of this group of friends are also very close. We decided to sign up our children for run events and NTUC 350 Run is the first run together. The next one with his friends will be POSB Kids Run in September. By the end of this year, Master 9 would have joined 4 runs in all. Healthy lifestyle starts young! At the current count, I would have joined 5 run events this year, 2 of which are family runs and 3 are individual runs. I am training up for my very first 10km run in Race Against Cancer in July. In the same month, I will be running in Mizuno Ekiden which I am part of a team of 4 in a 21.1 km relay run. It is a very interesting run. See below picture for how it works! 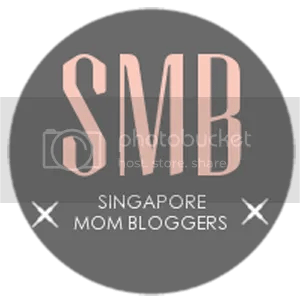 While I really worry if I can make it for the 10km run, one of the fellow mum blogger Angelia who is an avid runner shared her post with me. And that opens up a brand new way of running that I had never known before. RUN-WALK-RUN! I always thought that long distance running has to run non-stop, I could not have possibly thought that for safe running, one must do run and walk intervals too. Because of this, I start to do the Run-Walk-Run method to train up for my 10km. Surprisingly, the distance no longer seems so daunting to me. I am really excited about the runs. It is a motivation for me to keep myself fit and also something to look forward to. I do hope I can inspire more mums especially, to pick up running or a healthy lifestyle. Mums are always too busy to take care of themselves. But, it is possible to stay fit in your busy schedule! Will share more on this when I succeed in conquering my 10km! Missy 11 has been asking to be woken up for breakfast on Sundays which is quite unlike her. Usually she is the one who sleeps in and can even wake up near noon. Since the little missy of the house is so game to wake up early, we have been enjoying our Sunday morning bonding time. On a particular Sunday, we went to our favourite sand playground. I am glad that Missy 11 no longer dreads walking on sand which she did for a short period of time last year. On other Sundays, I took the kids to the playground and I must say with the 3 of them zooming up the pathway on their respective scooters and bike, I was seriously sighing a deep relief when I took them back home safely. You have no idea how my heart stopped momentarily god knows how many times when I saw how that little training bike seem to topple at sharp turns and how the scooters stopped just in time at the traffic lights! I was running like a mad woman far behind. With me feeling the exam stress, I am certainly looking towards mid-May onwards when the kids would have finished their exams. I am already searching for ideas to bring them out for play! One good post that I chanced upon from Cheekiemonkies is the 10 Best water play in Singapore! Wow! I never knew we have so many public swimming pools that have fun slides and lazy river!! Best of all, the entrance fees are public swimming pool rates! Also, we have a few playdates coming up in June. Movies, one-on-one dates with each kid and hubby and mum, and more activities in June. Who says staying in Singapore during school holidays is boring? This entry was posted in Mummy Diaries, Uncategorized and tagged family bonding time, Health, Run events. Bookmark the permalink. They are growing so fast!! I did my first 5k run a few months ago and have another one coming up – but then I’m thinking of training to run 10k. I find running addictive. I would like to know how you will train up for 10km! Now I am so into this I am reading up on runs haha! Christy, I can’t tell you how much reading on runs I do! It really becomes a lifestyle!! LOL! From what I can tell, and little knee pain is normal for our aging knees, but I can also tell you that cross training helps A LOT. I ride the stationary bike to cross train – it works different muscles that help strengthen my knees. That has made a difference for me! I also do yoga, and I’ve heard swimming is good, but I don’t have access to a pool all the time. Thanks! I will try cross training too! I can feel your heart too. My boy always wants me to play with him at night but I need to prepare my gal for her coming examination. He will tell me that ” Why you always don’t play with me?” My heart feels guilty. Aww… we will compensate next week!